Serial numbers are generally available in your account portal. Serial numbers for physical media inversions 2013 and earlier are located on product labeling. Located in the product details tray. 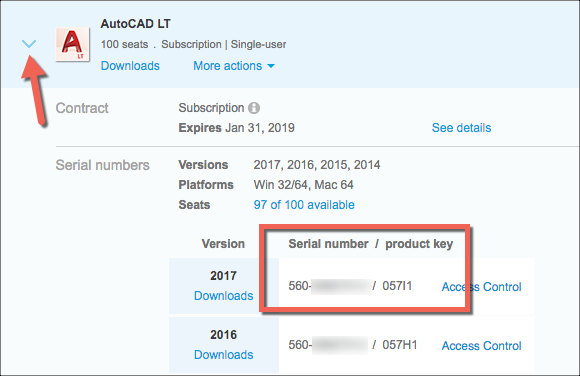 When you purchase or license software you create or sign in to an existing Autodesk Account so we can store your Serial Number and Product Key in your account. Serial numbers are available for perpetual licenses, subscriptions, and Education accounts.